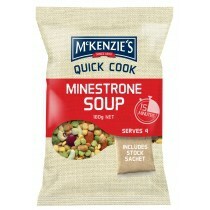 McKenzie’s Quick Cook Soups (180 grams per packet). 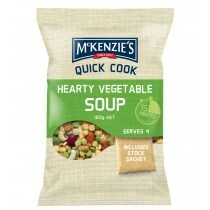 We tried the first of these, Hearty Vegetable tonight. I expected it would need a bit of spicing up but it did not; it was excellent. HIGHLY recommended. Also discovered that you can thicken a soup (and add nutrition) by stirring in some Continental (Deb) Mashed Potato – about five teaspoonfuls to a cup. I made the soup (as per instructions) with 8 cups of water. Bring water to the boil, add ingredients and simmer 15 minutes. Whilst this would make a fine entree for several people, it would be too much liquid for one (or two) for too few calories (600/8). So I would (in the field for a main) add just four cups and thicken with mash. Two cups for each of us with some mash should come to more like 400 calories each, and half a litre of hot hearty soup each should be enough on a cool night. 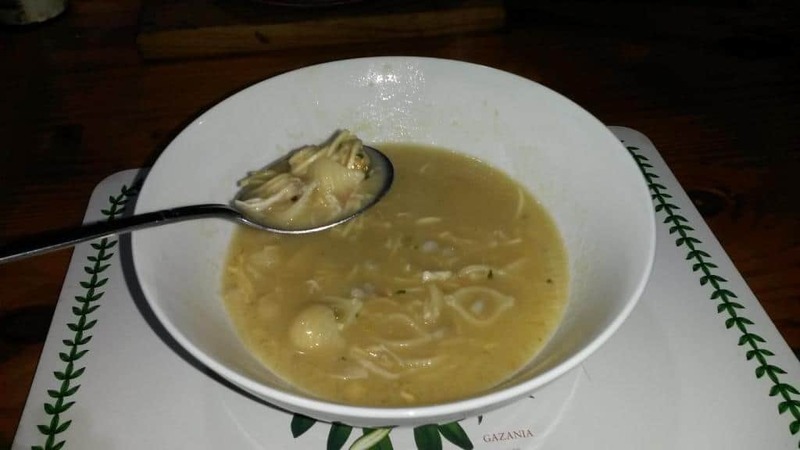 Tonight I added some extra nutrition to the leftovers with tiny shell pasta, an 85 gram can of Heinz chicken meat finely shredded, and two cup serves of Continental Asian Laksa Cup-a-soup (see photo). It was delicious. 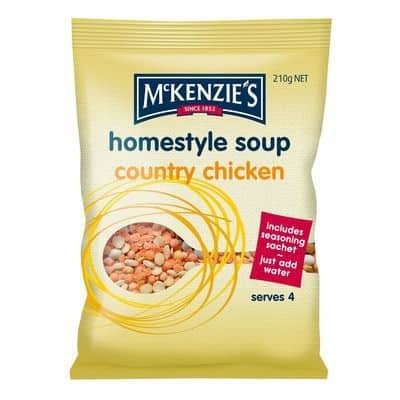 There are two other flavours to try: Minestrone & Homestyle Country Chicken. Even if you aren’t a hiker, they would be useful additions to your pantry shelves.